Thanks to the continual growth of social media, it has become easier than ever to share ideas and connect with people online. New features have made our favorite platforms even more user-friendly, but because of algorithm changes, it can be difficult for your organization to reach its audience on social media without having a large advertising budget. 1) Encourage your audience to share why the cause is important to them. The reason that peer-to-peer fundraising is so effective is because it allows your audience to share why your organization’s mission is personally significant to them. When fundraisers can share this personal information, their friends and family are much more likely to jump on board and donate to the cause. Encourage your audience to individualize their campaigns and share personal stories. 2) Invest in a software that will give your fundraisers all the tools they need to run a successful campaign. 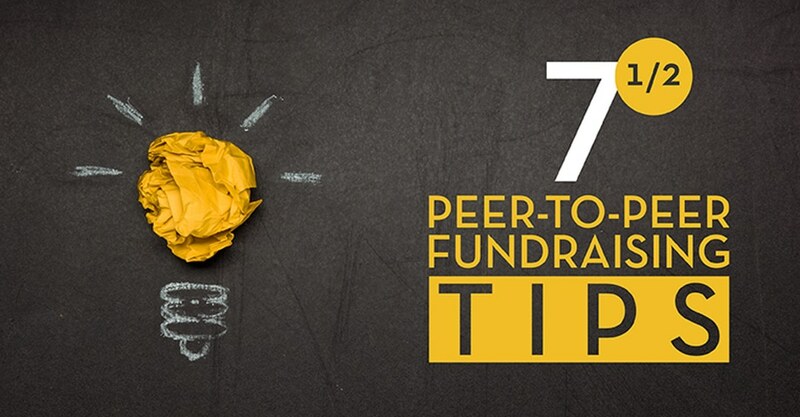 With the increased popularity of peer-to-peer fundraising, there are many programs that allow you to host all of the information your fundraisers need in one place. Find one that works best for your organization and fits within your budget. Before investing, make sure that the software is user-friendly, scalable, includes many features, and that there is a strong support team in case of any technical difficulties. 3) Create free resources for your fundraisers. In order to make the process as easy as possible for your peer-to-peer fundraisers, create a library of content for them to access during their fundraising campaign. Create infographics, social media banners, videos, email templates, customizable fundraising pages, and more downloadable content that they can utilize while sharing your organization’s cause. 4) Consider hosting an in-person event for your campaign. Don’t forget the “social” part of social media! Hosting an in-person event such as a 5K, a walkathon, or athletic event is a great way to build community offline. These types of events tend to be very successful because donors are not only investing in your organization, they are also supporting the event participants. 5) Dedicate someone on your team to overseeing and encouraging your donors. Peer-to-peer fundraisers have been proven to expand a nonprofit’s reach to new potential donors. Your supporters have friends and family who have never heard of your organization before. Make sure to give new donors a warm welcome with a handwritten letter or small welcome gift. Also, having a “go-to” person on your team who can answer your fundraisers’ questions or concerns will make the entire process seamless for your supporters. 6) Recognize your top fundraisers. As you begin your peer-to-peer fundraising campaigns, there will be a wide range of campaign successes. You could have fundraisers with lower numbers and others who completely blow you away! Consider creating leaderboard or virtual badges that they can add to their page. A personal phone call with an encouraging message can do wonders to embolden your fundraisers to continue their great work! Creating prize incentives for supporters can also be a great way to increase the effectiveness and people’s personal investment in fundraising campaigns. Encourage your supporters to get even more excited about the campaign by fundraising as a team! Each team member can create their own fundraising page to share with friends and family. Consider giving the team that raises the most money some kind of prize or shout-out on your organization’s website and social media pages. 7.5) Encourage fundraisers to make the first donation on their page. Leading by example is a great way to get more people to support the campaign. Encourage your fundraisers to make a $20 donation to their own page after it is created so that their friends and family can see the personal investment and commitment to the cause. Brittany LaGanke joined CGC as the Director of Nonprofit Development after several years in the nonprofit sector. Initially starting her career in program management and later transitioning into development, Brittany has gained valuable insight into the common obstacles that organizations face while attempting to secure funding. 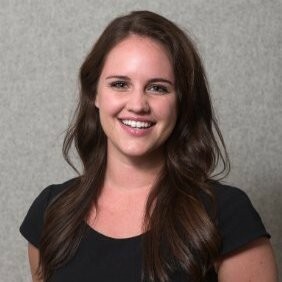 Brittany leans on her extensive experiences in event/auction management and proven track record in cultivating corporate donors to provide strategic solutions for nonprofit consulting clients.